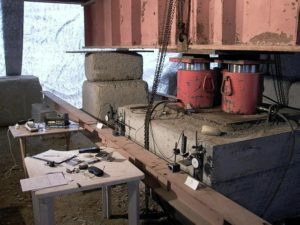 Load tests on every kind of structure (reinforced concrete, metal and wood) for static testing. Complete renovation of buildings (interior/exterior). The Petricca company was founded in 2012 to follow the initiative of the Geom. Umberto Petricca, maximum expert in load testing and operating in the sector throughout the country since 1951. Currently the activity is managed by the son, Geom. Roberto Petricca (with forty years of experience in the sector) and his nephew Simone Petricca (RINA certified technician, in the sector from 2006). Among its clients are private companies (e.g. Astaldi S.p.A., Metro C S.c.p.A., Italiana Costruzioni S.p.A., etc…) Public bodies.